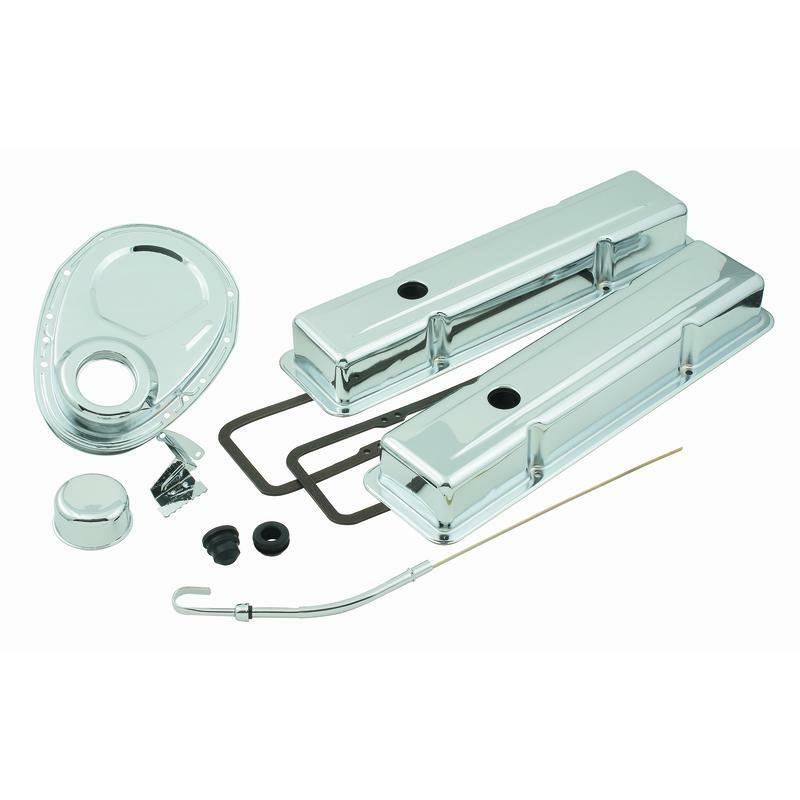 Transform that bland factory Small Block Ford engine and engine bay with a Chrome Dress up kit from Mr. Gasket. Economically priced and easy to install. This Chrome Engine dress up kit comes with the following items to transform your 1964-1985 Ford Small Block 260/289/302 and 351 Windsor platform engines: - (2) chrome valve covers - (2) chrome 4-wire looms - (2) chrome 2-wire looms - (2) valve cover gaskets - (12) chrome wing bolts - (1) chrome push-on breather - (1) breather grommet - (12) chrome hold down clamps - (1) rubber grommet for valve cover PCV hole.